Burning tyres littered des­erted streets across Assam. Security personnel rounded up scores of protesters. 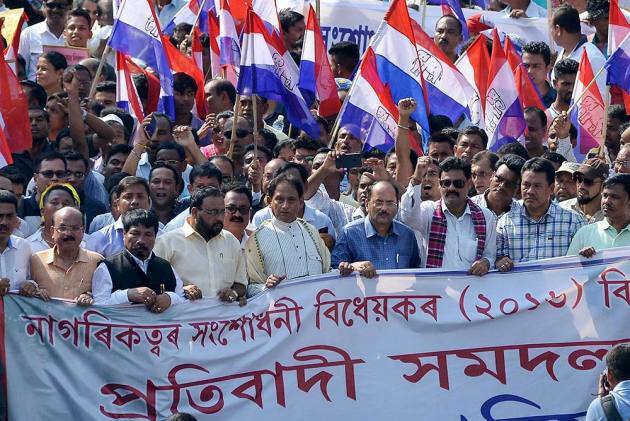 In Guwahati, the Asom Gana Parishad (AGP)—part of the BJP-led government in the state—led a massive protest rally against “foreigners”. It was a throwback to the 1980s when the anti-foreigner movement was at its peak, raising passions and sparking tension in equal measure. Thirty-three years after the agitation, not much has changed. The issue remains the same and the atmosphere as charged as ever. On Tuesday, Assam ground to a halt in response to a bandh called by more than 40 organisations to protest the Citizenship Ame-ndment Bill, 2016, which aims to give Indian citizenship to “persecuted minorities” from Bangladesh, Pakistan and Afghanistan. For a vast majority of people in Assam, this move is a “betrayal” by the BJP which stormed to power in the state for the first time in 2016 with the promise of protecting “jaati, maati, bheti” (identity, land and home). The bandh coincided with a meeting in Delhi of the Joint Parliamentary Committee which was formed to seek the opinion of the people on the bill. The AGP—twice elected to power—says it is ready to part ways with the BJP on the issue. “We can’t support the bill which goes against the Constitution of the country…,” AGP president Atul Bora, also the agriculture minister, tells Outlook. Influx of undocumented migra­nts, especially from Bangladesh, is a divisive issue in Assam. Many believe that unabated migration is the biggest threat to the language, culture and identity of the “indigenous” people. The BJP sees a threat too, but only from Bangladeshi Muslims. BJP leader and Assam minister Himanta Biswa Sarma—a former Congressman who switched sides ahead of the 2016 polls—says there is no threat from Bangladeshi Hindus as only they can safeguard the culture of Assam unli­­ke Bangladeshi Muslims. The protests come amid the process of updating the National Register of Citizens (NRC) aimed at identifying genuine “Indian citizens”. The controversy-ridden exercise is being done over the long-held belief that names of lakhs of “illegal migrants” have crept into the voter list after 1971. The AGP says the bill will negate the entire NRC update. As per the Assam Accord of 1985, people who entered Assam before March 25, 1971, are Indian citizens. The Asom Jatiyatabadi Yuba Chatra Parishad, a student union, warned the BJP-led government against hurting the sentiments of the Assamese. “We want a state free from the illegal citizens and the BJP is playing politics with reli­gion,” says its general secretary Palash Changmai. Akhil Gogoi, the firebrand leader of the Krishak Mukti Sangram Samiti (KMSS), a farmer association, says “the people of the state spontaneously supported the strike as their future is at stake under the BJP government”. The bill has divided the state with people of Barak Valley—where Hindu Bengalis are in a majority—supporting the BJP government’s move. However, the Citizens Rights Protection Forum-Assam, an umbrella organisation of several Bengali groups, says the BJP has failed to secure their interests in the state. “We have faced problems in the NRC update process. Many people have been left out,” the for­um’s media in-charge, Sudip Sharma Choudhury, says. The BJP accused leaders like Akhil Gogoi of misleading the people. “The bill is being reviewed by the JPC which comprises MPs from all the parties not only BJP. So, the people must understand that it’s a neutral process. As the bill still under review, there is no point creating such chaos,” says Syed Muminul Aowal, party spokesperson. He said the AGP leaders should sit with party president Amit Shah and “sort out things”. Chief Minister Sarbananda Sonowal has promised to protect the interests of all when the government takes a final call on the bill. Not many are willing to beli­eve him now. “We had also trusted Prime Minister Narendra Modi who had promised that ‘all Bangadeshis will have to leave Assam bag and baggage’. 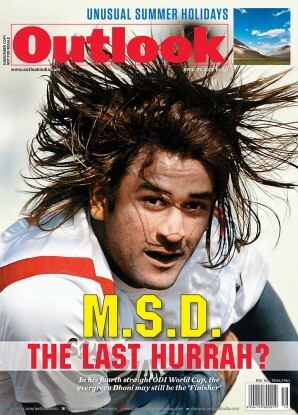 We were fools to believe him,” said Arnab Sharma, a businessman. The fear of the ‘Bangla­deshi’ remains as alive as it was in 1979 when the Assam agitation began.